Offering affordable piano removal services across Chorley, Preston and the surrounding areas of Lancashire, depend on Tomlinson’s Removals & Storage, for the moving of large items of furniture and professional piano removals by our highly trained staff. It has now become very simple to find reliable piano transport, thanks to our cost-effective piano removal company! Here at Tomlinson’s Removals & Storage, we are more than qualified to collect your upright or grand piano and carefully move it to any location throughout the UK – ALWAYS taking good care of your precious instrument. 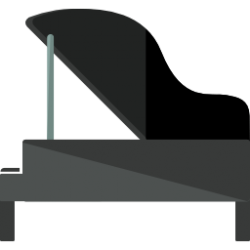 We understand that every client is different, which is why we ensure to have the correct type of equipment to successfully move your piano, causing no damage whatsoever to the instrument or property. There is no need to worry, as we are here to make your piano removal as simple and stress-free as possible! We can collect and deliver your piano on your chosen moving date at a time that suits best around your busy schedule. Our prices are flexible and ALWAYS use our experienced movers to deal with your piano move, allowing you to receive great peace of mind that your piano will be moved safely and securely. Our movers are highly experienced, meaning you can rest assured knowing your piano is in safe and competent hands when with our friendly and polite team. We can provide you with a FREE, no obligation quote for all piano removals throughout Chorley and the surrounding areas of Lancashire! No matter where you want to move your piano to or what day you would like this to happen on, depend on us to ALWAYS give you professional help and guidance. Worried about how you are going to move your piano? Worry no more and call 07576 634 126, for dependable piano removal services today!